The next item on our long list of van upfit projects was to insulate the roof and walls of Blue. And like most van projects, there were no shortage of opinions on the best insulating methods. I spent a lot of time reviewing how others had accomplished the job, and there were a lot of good ideas. Originally, I had thought I'd use a closed cell, two part polyurethane foam. This is an expanding foam with an R-value of about 6.5 per inch. It can be purchased in a kit with the two tanks of foam, along with the hoses, spray gun and various nozzles necessary to apply it. The advantages are that it is quick to apply – the whole job can be completed in a day, it adheres to almost any surface, has a high R-value, and is quick to set. The disadvantages are that it is more expensive, it takes a lot of prep work to make sure it doesn't get onto or into any unintended surfaces, and if applied to enclosed areas, like behind the roof or side ribs, it may distort the exterior surface of the van as it expands. It requires a fair amount of post work, cutting away any excess foam. It is also fairly toxic, so adequate personal protection equipment like a respirator, gloves and protective clothing should be worn. The biggest disadvantage for me, however, was that it needs to be applied in warm temperatures. The manufacturers all recommend that, for best results, it should be applied at a temperature of 75F or warmer. There are ways to apply it in cooler temps – keeping the tanks warm, using heaters, etc. but it's below freezing here in Boston with no respite in sight, and there's been 2-3 inches of snow and ice sitting on Blue's roof. Even with heaters inside the van, I wonder whether the surface temperature of the van could be anywhere near 75 degrees. Would this prevent the foam from adhering to the metal? Would the cold prevent the foam next to the metal from curing properly? Perhaps a professional installer with a lot of experience using the foam might be able to work with it in subfreezing temps, but I didn't think I'd want to learn how to apply it in the worst conditions possible. In the end, I decided to use a combination of rigid foam boards with an R-value of 5 per inch and fiberglass insulation with an R-value of 4.25 per inch thickness. I cut sections of the rigid panels to fit between the roof bows, using 1.5” thick panels where possible and 1” thick panels in other areas. These were attached to the roof with an adhesive (see below). I used an expanding foam, Great Stuff Gaps and Cracks Filler, to fill the small cracks and crevices between the panels, then stuffed fiberglass insulation into the larger gaps, which was held it in place temporarily with tape. I also put fiberglass insulation above the headliner in the cockpit. By temporarily disconnecting the plastic tabs holding the rear of the headliner in place, I was able to stuff the fiberglass insulation into the space between the headliner and roof. The walls were insulated entirely with fiberglass. I stuffed it into all the enclosed areas behind the wall ribs, and attached large sections to the metal van walls. I used 3M spray contact adhesive to hold it in place until the wall panels were re-attached. Eventually, the black wall panels will be replaced with paneling. It took some research to find the right adhesive to attach the panels to the roof. I wasn't concerned with the fiberglass – once the ceiling and wall panels were in place, it wouldn't matter if the adhesive didn't hold it in place. I did want the foam panels permanently attached to the ceiling because I was concerned it would squeak as the van flexed if the adhesive didn't bond it permanently. The ideal adhesive could be applied in freezing temps, and would grip the panels immediately. The adhesive should hold the panels in place when the van was subjected to temps ranging from -40F to above 140F - it's certainly possible that the temperature of Blue's dark blue roof might reach a temperature of at least 140F in the summer Las Vegas sun. Contact adhesives have a minimum application temperature of 60F and begin losing their bond in temperatures around 140F. Most construction adhesives have a minimum application temperature of 40F, but only have a service temp of 10F, not practical for an automotive application. 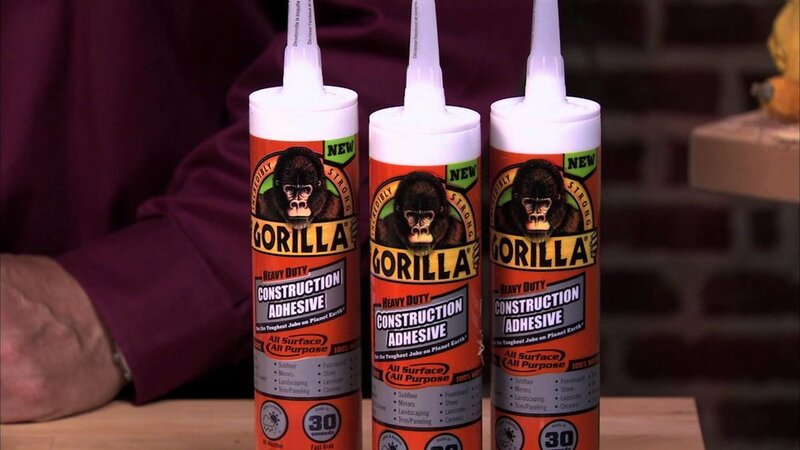 One adhesive that looked close to fitting the requirements was Gorilla Construction Adhesive. While it still has a minimum application temp of 40F, it does have a service temperature range of -40F to 200F. In addition, it only has to be held in place for 30 seconds. I was pretty sure I could heat the interior to 40F. I stored the adhesive inside until it was time to use, and ran a heater inside Blue to heat up the interior. I held each panel in place for 30 seconds, and they all stayed in place. I tried pulling one panel off the next day and it wouldn't budge. I am optimistic the adhesive will hold. There is some difference of opinion about whether a moisture barrier should be used between the interior surface of the insulation and the wall and ceiling panels. My thought is that the van sheet metal forms an outer moisture barrier. If another moisture barrier is installed on the interior, I would think moisture could become trapped between the two layers, which could lead to mold or rust. To this end, I used a unfaced insulation and didn't add a moisture barrier on the interior surface. Hopefully, none of my family will disown me for wearing a Patriot's hat. I couldn't find a Broncos hat here in Boston, and it was a choice between a Pat's cap or frost-bitten ears. A tough call, but I opted for warm ears. Mea Culpa.